LOL, they look like quite the wrestlers! that's super duper cute! my girlie pies do that too! 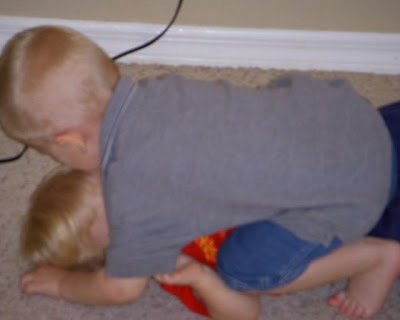 I love that, is it wrestling, or hugging...LOL. Glad you are over your flu! It's all so sweet and fun until someone starts crying! 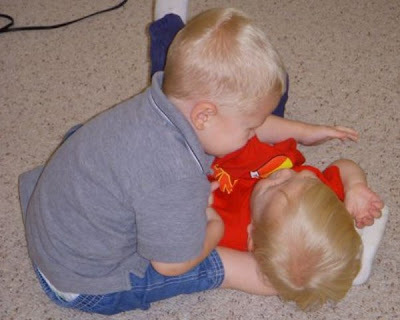 I think these pictures are a classic example of "boys will be boys" in action =) How lucky they are to have a brother to wrestle with!